I’ve spent the last three days caught up in the (good) madness that is Pitch Wars. After nearly two months working with my mentor on my manuscript, I thought I was ready. Turns out, my manuscript was, but me personally? Not so much. I’ve written before about my love for online writing contests, particularly query contests. And if you’ve spent much time in social media communities, you’ve heard of them: Pitch Wars, Nightmare on Query Street, Query Kombat. Some of you may be participating in the upcoming Baker’s Dozen contest, and if you’ve missed the entry opportunities, there’s still PitchMas and Brenda Drake’s Pitch Madness in the spring. And there are lots of monthly contests. But the one thing I hadn’t anticipated–or had forgotten–was how emotionally challenging these contests can also be. After all, your prose is up there, in public, for the world to read. And anyone who wants to can see if the agents or judges are interested (or not) in your work. As one fellow Pitch Warrior put it, “it’s like being naked in public.” All the anticipation can make you crazy, in good and bad ways. So here are five things I’ve learned to survive–and thrive–in online contests. Writing is a subjective business. With the same manuscript, I’ve had incredible success in some contests and zero response in others. Some of my very favorite entries in Pitch Wars didn’t have any requests, others had only one. The agents responded the most to the YA entries, and the NA entries didn’t get nearly the attention, despite having some incredible writing. Keeping the subjectivity in mind can ease–a little–the sting of being passed over. It was also interesting to see what agents were most drawn to: the top requested entries in MG and YA were both fantasies with dark undertones. And if you’re thinking of querying one of the Pitch Wars agents, it might be worth your time to see which entries they were requesting (this is, in fact, one of my favorite parts of The Baker’s Dozen). Hands down one of the best parts of Pitch Wars (after the feedback from my amazing mentor, Virginia Boecker), was interacting with the other contestants. One of the Pitch Warriors created a Facebook page for everyone involved, and it was heartening to see the behind-the-scenes cheering that went on (and the mourning and support for entries that weren’t getting as much love). For me, personally, knowing the other contestants meant that I had someone else to cheer for as the contest unfolded, and I could celebrate their success with as much excitement as my own. The day Pitch Wars went live, I was alternately torn between not wanting to look at my computer screen at all (what if no one requests?) and wanting to stare at it all day (but what if they do?). But I’m a mom who’s currently teaching an online course, and I had other responsibilities to my kids and to my students. One of the best things I did for my sanity was to get out of the house with my toddler. We ran errands and went for a walk and I felt (almost) normal when I got back to check my results. I also forced myself to shut down the browser window for a few hours while he napped so I could focus on my students. It’s okay to take some time to feel frustrated or elated or despondent. It might be a good idea to stock up on your favorite solace ingredient. During Pitch Wars, some of the Pitch Warriors turned to chocolate, others to ice cream, still others to their favorite adult beverage. (My husband still owes me some Diary Queen). But when the wallowing is done, pick yourself up and move on. While Pitch Wars was running, I spent some time fine-tuning my agent list to query in case the results weren’t great (and in fact, I’ll be using that list today!). Other contestants dove into NaNoWriMo or worked on drafting new projects. Having something else to think about–and be excited for–can help take your mind off the current drama (or trauma, depending). Putting your work out there is hard. Having the courage to try is an important first step–so celebrate that! In addition, many of these contests have a vetting process to even get in. If you’ve made it, that means someone recognized something valuable in your writing. Enjoy that feeling. 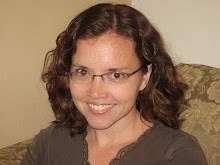 Rosalyn Eves is a part-time writer, part-time English professor, and full-time mother of three. She loves all things BBC, especially costume dramas and mysteries. When not wrangling children (and sometimes when she should be wrangling children), she’s often found reading. She’s currently working on a YA historical fantasy, set in nineteenth-century England and Hungary.